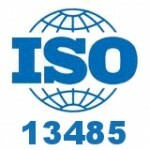 Part I of our ISO 13485 test dealt with the basics of the standard. Test takers did fairly well (view results) and Part II is an opportunity to go a bit further in testing your knowledge of the standard. We’ll post the results in a couple of weeks. Good luck! 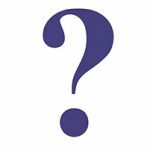 Answers: What's Your ISO 13485 IQ? Hello, I just completed your 2nd quiz on ISO13485. There was a question regarding whether or not a organization was required to complete inspection of material from a sister site. I realize that Purchased Product now includes all product received outside a organizations Quality Management System regardless of there being a financial or commercial agreement. However, I feel the answer to this question could be true if the sister company is outside the organizations quality management system, but false if the sister company is a part of the organizations umbrella certification. Not sure what answer you will determine to be correct for this question. I look forward to seeing the answers.